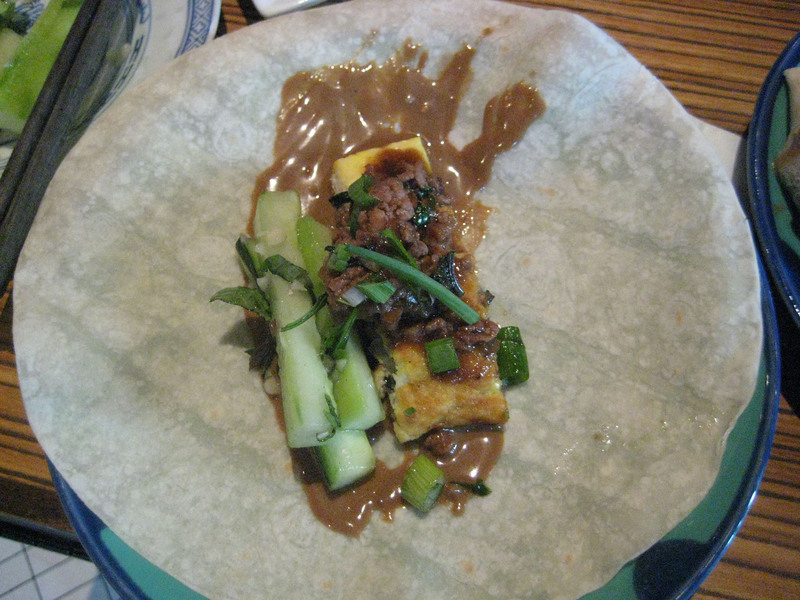 After my trip to Shanghai, I was inspired by some of the local Shanghainese food I had. The first dish is a great egg dish I had on the street. 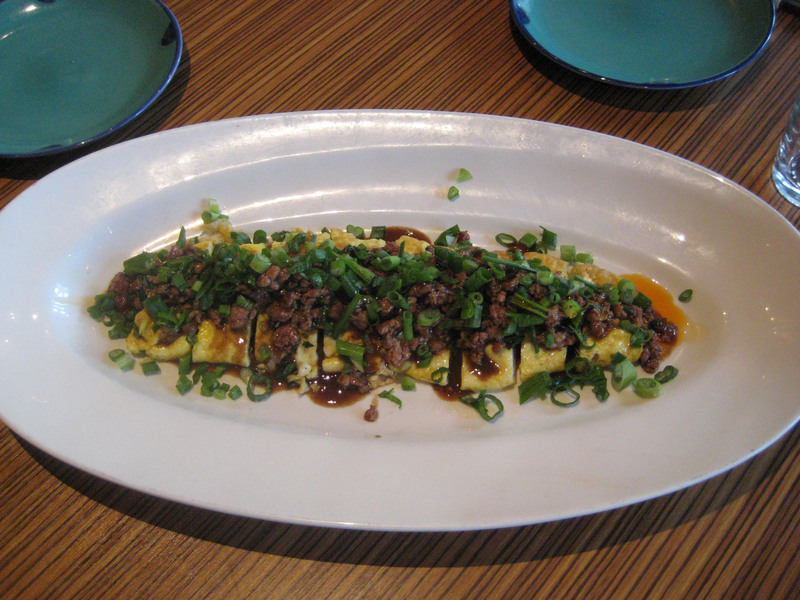 They call this dish, “Dan Bing.” which is a thin pancake they layer with scrambled eggs, ground pork or pickled veggies, scallions and plum sauce. In this case, I used steamed mushu wrappers as the pancake and rather than do a scramble I made an omelette that is filled with onions and basil. 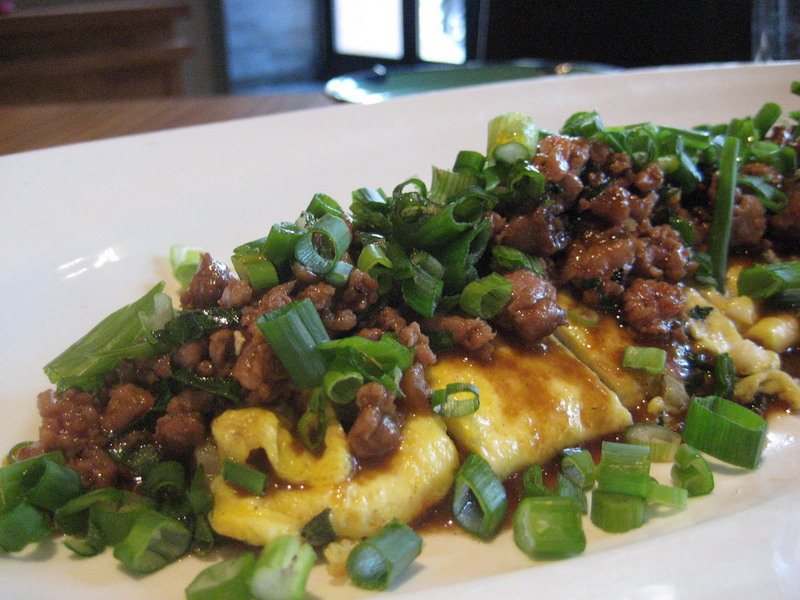 I love the herbs in the eggs and the ground pork (cooked in plum sauce) adds a nice richness to this dish. This makes a great lunch or snack. If you don’t have pancakes, you can simply make this omelette and serve it with some bread or rice or have by itself. * Whisk your eggs in a bowl and add the basil, red onions, salt and pepper. * Flip egg over like an omelette and flip it in half again. * Now in a separate pan, heat some olive oil and add your ground pork. * Let everything cook for another 4 minutes. * Taste and add more salt and pepper if you need it to be more seasoned. OR just serve with some rice!